Customer Picture Number 327 Selected. Cool Car decals applied. 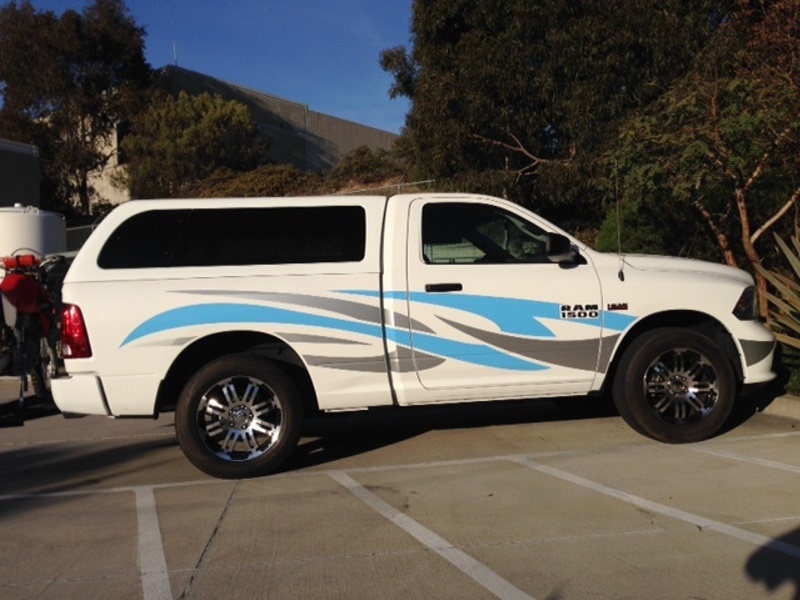 Surely quite a large graphic for this awesome Dodge truck. By far not the easiest to make or apply but the end result speaks for itself. Chris has a very unique ride and the graphics really help to set it off!